Look over here! Look over there! BAM! Exam period. I feel like we were cast into in a time machine that shuttled us through a rickety, roller coaster path from this past exam period to this one. This exam period is the monster. The first two theoretical based years are over and we are now to make the big leap to third year. Before that, we need to prove our knowledge of 2 years of anatomy (though, 4th semester was more review), 3 semesters of medical biochemistry and 1 year of physiology. We have 6 weeks and we are at the start line completely exhausted. Thursday: last physiology seminar test, physiology lab exam (oral exam based on all the labs we’ve done this semester) and then to close out the night, physiology competition. Come Friday, I was absolutely exhausted. In a perfect state of too tired to do anything but lay in bed but too wired to nap. We’ve been so busy, that I don’t even know what happened to these past 3 weeks. 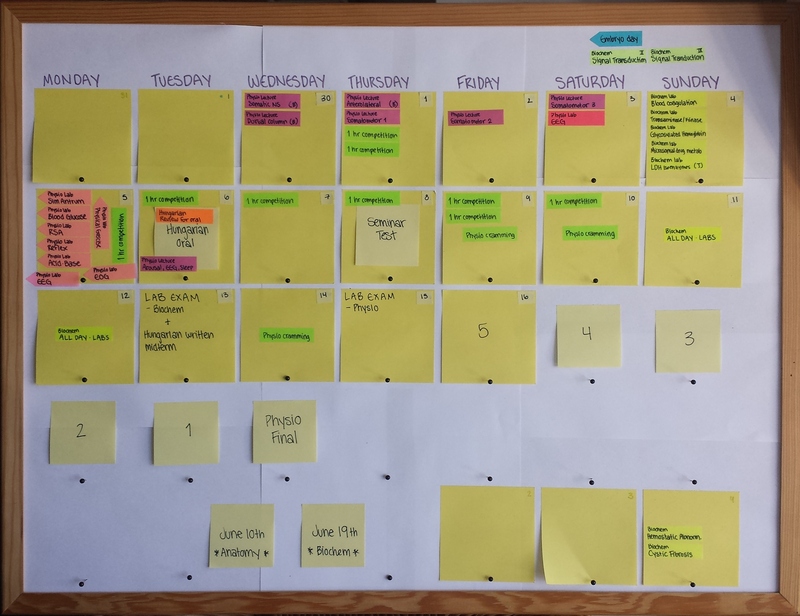 3 weeks ago, Jannie and I made a study schedule – and now it’s over. Just like that. It’s been a bit of a struggling figuring out how to juggle everything. At the end of the spring semester, there is a series of competitions within each of the subjects. Passing the biochem or physio compeition give you exemption from the final exam and passing the anatomy competition can give you exemption from the practical part and/or histology part of the final exam in anatomy. Preparing properly for those exams, most likely means having to sacrifice something else in some other subject (except for those few genius individuals who can do it all). I really, really wanted to go for the physiology competition, but as time began to slip away, I realized that I had to make a choice: lab exams or physio competition. It was a hard choice to make and in the end I decided on the path that would give me guaranteed bonus points for my exams rather than gamble that I could pass the competition. The lab exam for biochem is a bit of a hurdle because you have to pass it. We are given our first shot during the last week of the semester and if you don’t pass, then you will have to pass it at the final exam (which is not going to be fun with all the other information you’ll need to have crammed in your head). It felt impossible (and useless) to memorize 22 labs with 22 different theoretical backgrounds, methods, procedures, results and conclusions. On the morning of, I’d lost all hope that it would go well. All the values were starting to mix together and I felt as though things were simply slipping out of my head. Luckily, I got a topic that I knew well enough that I hadn’t even reviewed it as much as the others: Digestion of Lipids, determination of lipase activity. I was able to write down everything almost exactly as I had it in my notes, save for a maybe insignificant detail on my graph. Now I just have to hope that it is what they wanted. Tuesday night and Wednesday were tough because I began to doubt my choice to go for the lab exam in physio or go for the competition. As I mentioned last semester, all of our lab work and weekly tests get calculated into bonus points that are added to each section of our exam. These are worth gold because they can help you pass a section if you are some points below. As there are 3 sections, you can get 3 x your number of bonus points added to your exam (so 1=3, 2=6, 3=9 and so on). If I passed the lab exam with a 5, I would get 5 bonus points, something that would make me feel great about my work this past semester. However, if I could accept 4 bonus points and not show up for the lab exam, I could do last minute cramming for the competition. So what did I decide? The lab exam. With a bit of a heavy heart, I decided that the act of showing up and being tested orally on my knowledge was the best option for me. And, as Skjalg told me Wednesday morning, “Bianca, you made a choice and you have to stick with it. Period.”. Describe the homeostatic changes that occur with rapid transfusion of cold and hypotonic NaCl solution. What are the acute and chronic changes that occur in the cardiorespiratory system, cerebral circulation and in hemostasis at high altitude? I stayed for the first hour or so. I answered everything I could and decided to leave when I noticed that my brain just wasn’t working anymore. 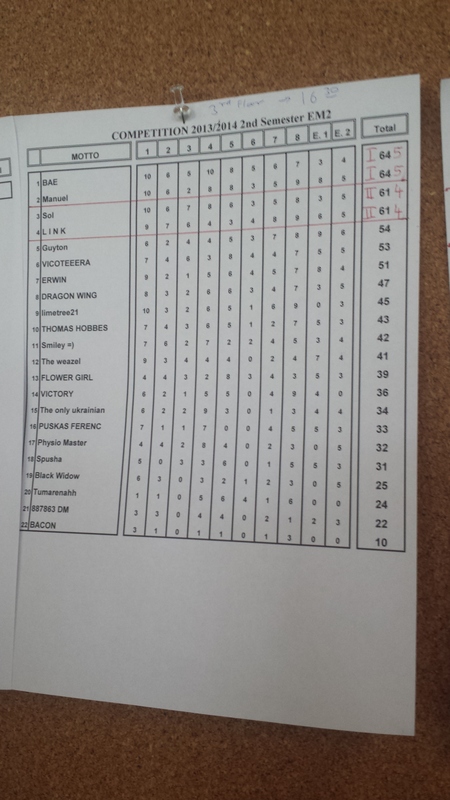 These were the results, I’m limetree21. As you can see, I’m still a good 20-ish points off from having passed! That said, if anyone is reading this and considering doing a competition – go for physio! The questions were very fair and if you have the opportunity to review all the topics – even if only superficially – it’s possible to pass. L I N K went for the biochem competition earlier this week and then just randomly decided to review for the physio competition the day before. Good thing he/she did! § 2 Responses to Look over here! Look over there! BAM! Exam period. BAM is right! here we go! hope it’s off to a good start for you! the 5-4-3-2-1 countdown made my HR, and thus, my CO … and thus, my BP, rise. 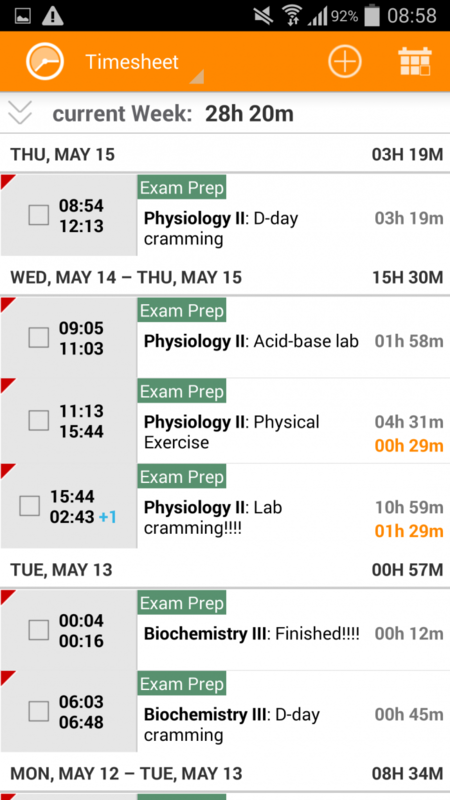 « Two semesters of physio lectures…. You are currently reading Look over here! Look over there! BAM! Exam period. at Buda-B. Categories: 07. Fourth Semester - Spring 2014, Finals! !